From the high peaks of the Andes to the stunning Caribbean coastline, South America has some beautiful areas that are a real invite to anyone who enjoys exploring the great outdoors. Whether you prefer speed and danger or enjoy the slower and more patient forms of adventure, there are plenty of options on the continent, and here are 25 adventures that should really fire your adventurous spirit. Often compared to Machu Picchu, La Ciudad Perdida as it is known is a three to four day trek through the jungle to reach the site in the Sierra Nevada mountains. 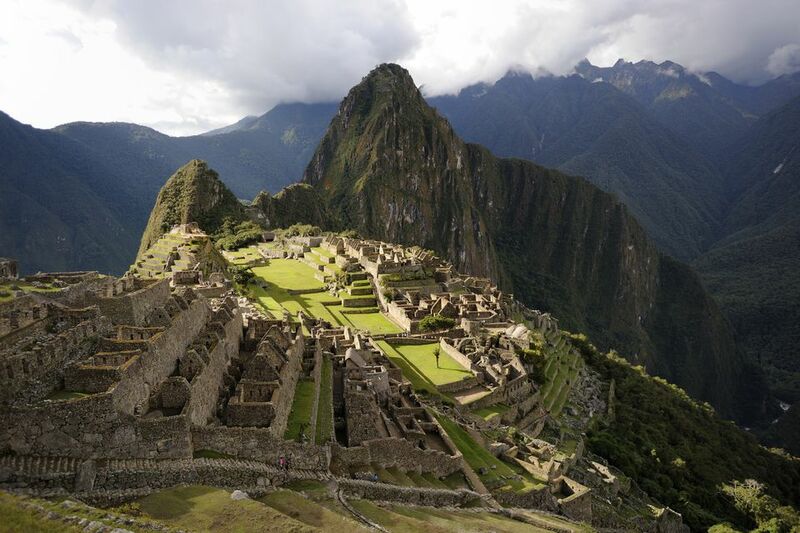 Dating from around six centuries earlier than Machu Picchu, there are several platforms that have been cleared around the hilltop, and the final 1,200 stone steps you have to climb to reach the site are a real challenge. The Miraflores cliffs are a key part of the seafront in Lima, and they provide a launching spot for tens of paragliders every day. Taking a tandem flight with one of the local instructors offers an amazing adrenaline rush, as well as providing an unforgettable perspective of the largest city in the country. A thirty five mile stretch of road perched on the edge of a cliff with no fences, this once was the main route between La Paz and Chulumani. While a new road has been built to take most of the traffic, mountain biking this stretch is a thrilling adventure that is safer as there is now much less traffic on the road, and it is definitely an adventure where you will want to test your brakes before starting. Argentina's capital is one of the hotbeds of Tango dancing, and both in nightclubs and in public squares you will see people practicing and performing this passionate dance. Take lessons with an expert, and dare to try out your steps in a local dancing club. This part of Colombia has some great beaches, and San Andres especially has some good winds blowing in from the ocean, which has made it a hotbed for windsurfing and particularly kitesurfing, making this a great chance to try the thrills of this modern sport. The sheer number of animal species, especially those like crocodiles and piranhas that can be dangerous make this a real adventure, and the chance to see the spectacular rainforest is one that has to be experienced. A short distance outside the town of San Pedro de Atacama is a large sand slope where you can try this variant of surfing, and see how you cut the slopes up with your moves. This river that flows out into the ocean is teeming with marine life, and here you can catch large and small species of fish that can be a real challenge to pull in, and you can even spot river snakes in some areas too. A remote area of the country, the Torres Del Paine mountains are spectacular with their steep slopes and jagged peaks, while the W Trail allows you to spend plenty of time seeing the mountains from many different angles. Banos is one of the adventure sports hubs in South America, and for white water rafting there are a couple of great rivers where you can experience class III and IV rapids in some wonderful natural surroundings. This beautiful coastal town is one of the most popular surfing destinations in the country, and with great beaches and fantastic waves, you can surf all day before heading into town to party all night. Just over a 100 miles south of Rio, this lush green coastline reveals some remote but beautiful beaches, while you can also see some wonderful wildlife and even enjoy some multi day trips into the Saco do Mamangua, the only tropical fjord in the country. The clear blue waters around this archipelago make it a great place to enjoy the natural wildlife, with beautiful coral reefs and stunning marine life, including plenty of sea turtles, to be spotted in the country. This is probably the most iconic hike in the world, providing an unique entrance into Machu Picchu that only those walking the Inca Trail get to enjoy, while the experience of four days on the trail takes you through some spectacular Andean scenery. These beautiful forests cover the area around the Iguazu Falls, with some areas in Argentina, Brazil and Paraguay, and taking a trip through the forest from Ciudad del Este reveals some amazing canopy walks, and some fantastic wildlife if your eyes are quick enough. The tradition of ranch work and looking after cattle is strong in Argentina, and there are many ranches in the Patagonia region where you can learn the work of the gaucho, along with enjoying meals and entertainment with these unique characters. The piranha is famous for the teeth that can shred through flesh as effectively as any other animal, but on these fishing trips do not try to take in the scenery while handling the piranha, while there are plenty of other fish to catch in this lovely place too! From abseiling down into the canyon to climbing over rocks and wading through rushing waterfalls, this thrilling experience is a great adventure and is a great day out. A short drive from the city of Cuenca, this area is known for the steep rugged slopes of its mountains, and here there are some great cliff faces for rock climbing that have routes for novices and experienced climbers alike. There are some beautiful islands in the Chiloe archipelago, and while the main island has the busiest waters, visit some of the less inhabited areas and the kayaking is fantastic, revealing scenes that can only be seen and appreciated from the water. During the winter in this part of Patagonia, you may be lucky enough to join a group of dogs running through the snow with great joy and abandon, as it is in Moquehue where the traditionally Scandinavian activity of dog sledding is being preserved, and the Samoyed dogs provide a great experience as you are pulled through the snow. The Rio Carnival is the largest in the world, drawing over two million people every year, but to get more of a taste for the event, arrive early and take a few classes so that you can strut your moves with everyone partying and dancing on the streets. In Southern Chile the water of the Pacific may be cold, but they are also home to some fantastic wildlife, and a boat trip out into the ocean around the area will often reveal some of the stunning whales and dolphins that live around this part of the coast. This city in the winter is almost like a Swiss Christmas card, and you can enjoy traditionally prepared chocolate, while snowboarding on the slopes offers a great way to get a real adrenaline rush. This beautiful archipelago has some lovely beaches, and the clear water is ideal for snorkeling, and you will often be able to spot all kinds of natural marine life in the shallow waters around the islands here. Thanks for letting us know! Heading to South America? Don’t Do These 5 Things!